These are some critters you don't want tiptoeing through the tulips. Most gardeners are pretty constant in their vigilance: if we spot a sign of mold or rot, for instance, we leap into action. However, there are times when damage comes not from insects or dieases, but from furry little bandits like opossums and raccoons. Since we all want to get rid of these creatures without harming them, it's important to learn how to best deal with them while keeping your fruits, vegetables, and flowers safe and beautiful. Raccoons will usually leave some pretty obvious signs of their presence in your yard, including large holes dug into your soil or mulch, attacks on your garbage cans, and major damage to your plants that can't just be attributed to the elements. If you think you have a raccoon problem on your hands, it's a good idea to take stock as soon as possible. Are there any places that would make a good den for them in or near your garden? 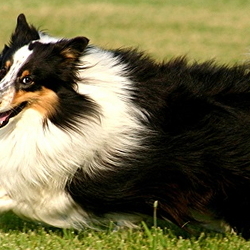 Try to haul away fallen logs, brush piles, and anything else that might shelter the animals. After all, their visits to your garden may very well decrease if they can't put down roots in it. 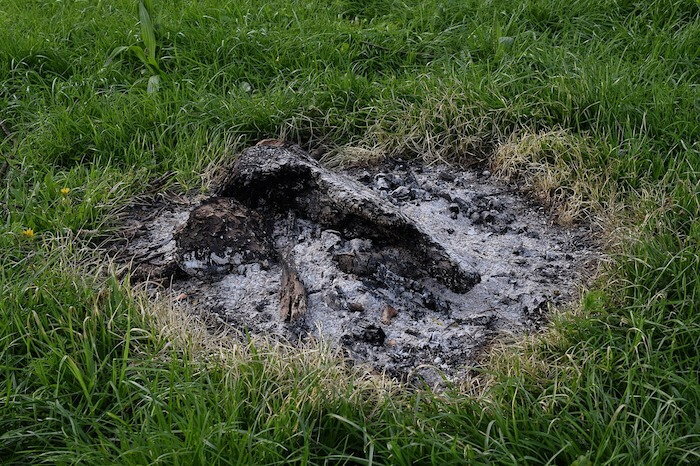 If you aren't certain that the damage is being caused by raccoons, try checking the ground after a rainstorm. Are there distinctive five-toed prints in the mud? Compared to many other four-toed creatures, the raccoon stands out for this extra toe. Unless the invasion is sudden and substantial, you can probably afford to try out some DIY deterrent strategies before calling the professionals in. Since raccoons are famously fans of homegrown sweet corn, it's important to keep your sweet corn patches away from wooded areas — and to plant the tallest varieties you possibly can. Many gardeners swear that their local raccoon populations have a knack for seeking out sweet corn the second it ripens, and if the plants are short enough for them to be able to reach the ears, they won't hesitate to do it. One way to protect your sweet corn is to grow it three-sisters style: plant climbing beans and pumpkin or squash vines alongside your corn seeds in a mound. That way, the beans have something to climb and the pumpkin vines keep raccoons at bay with their furry, prickly leaves and stems. Alternatively, you may want to consider setting up an electric fence around your sweet corn plants. 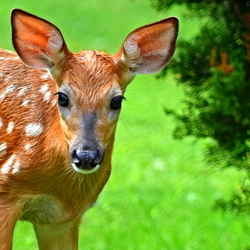 It's an extra investment, but it also tends to deter other creatures that have their sights set on your garden's goods. Both of these items can and should be sprinkled near your garden plants when you're interested in deterring raccoons. For a lone raccoon or two that are simply passing through, this may be enough to make them change their focus to a garbage can further down the street. Other remedies that have been reported to work include a mix of ground garlic and chili powder, clothes with human sweat on them, and the presence of lights and loud radios in the garden. If you live too close to other people to try all of these, you may want to avoid the lights and radios. In a country garden, however, those two things might just be the things that finally convince the raccoons that that the spoils aren't worth the trouble. Raccoons tend to spend most of their time in woodland areas, so try to put the items they like least up by any forest near your property, simultaneously moving their favorite treats closer to the house. Sweet corn and grapes are at the top of their list usually, but raccoons have also been known to eat potatoes, peas, and low-hanging fruits. Consider growing a few rows of herbs, flowers, and anything else that's prickly in areas where you've spotted raccoons before. Their paws don't do well with pumpkin and cucumber prickles, so they tend to leave those crops alone. Spicy peppers are also great deterrents, since a raccoon might try them once but definitely won't risk trying them multiple times! There are certainly instances when raccoons cause too much damage and are too persistent to be worth the trouble. 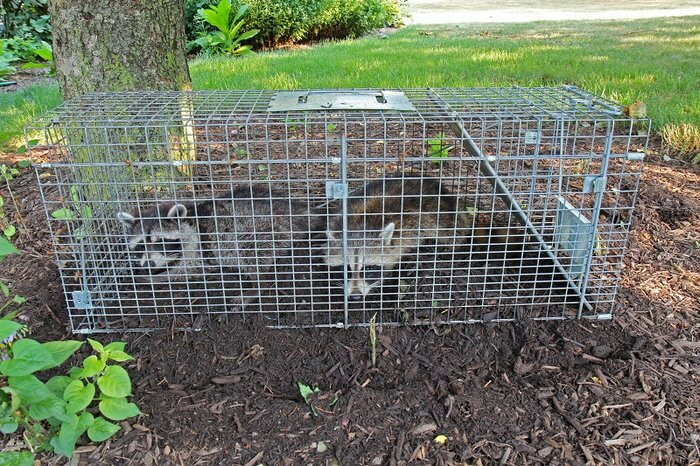 In those cases, large traps can usually be purchased or borrowed for collecting and transporting them far from your home. If you live in a city, your best bet is to call Animal Control and ask what your options are. Professionals are far less likely to get bitten, and it's in everyone's best interest to get rid of animals that might spread rabies. Getting professional help may cost you some time and money, but compared to sustaining an electric fence or various DIY deterrents, it may actually be the fastest way to make those pesky raccoons go away. 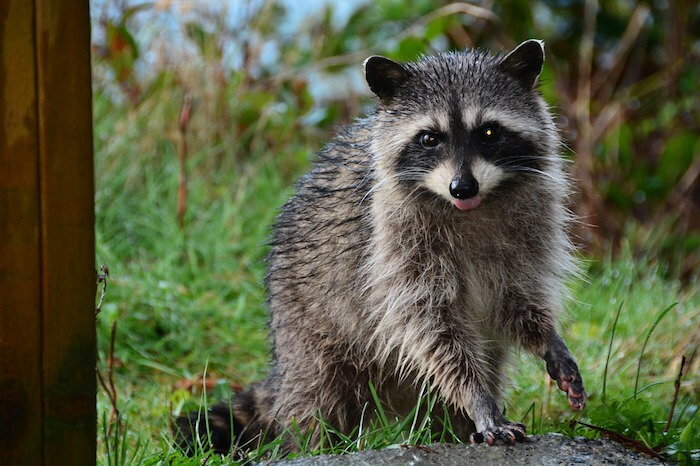 No matter the level of raccoon damage in your garden, you'll find it worthwhile to find some natural and humane ways to encourage them to move on. You'll have more homegrown fruits and vegetables to show for it, and there will be less danger of someone getting bitten. 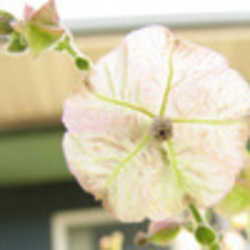 Laura Leavitt is a writer, teacher, and gardener in Southern Ohio. She focuses her own gardening efforts on raised bed gardening, usually vegetables and herbs, and generally tries to grow at least one new thing every year. Her biggest gardening vice is definitely not weeding often enough, but she always pays for it later in the season when she's pulling weeds even as she harvests her crops. She is passionate about preserving our natural resources and environment through reducing greenhouse gas emissions and growing local food and often writes about local farm-to-table restaurants for local papers and magazines. Her favorite assignments at Dave’s Garden allow her to combine her love of food with practical gardening tips and advice. She also works as a volunteer through various local non-profit organizations. For instance, she has worked with the Hamilton Urban Garden Network (HUGS) to create a market garden and space for all residents of low-income neighborhoods of Hamilton to be able to grow their own food. Her writing has appeared at a variety of lifestyles-related websites, including Weddingbee and JustMommies, in addition to her work at Dave's Garden. She can be contacted at Cincinatti Ohio Creative Copywriting, and showcases a variety of her prior publications at that location."